The museum recently had a visit from Don Dickenson whose story was posted in this blog entry: Don Dickenson . 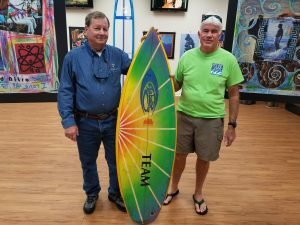 Don wished to support the museum with a donation of his team board when he rode for Tabeling Surfboards in the 80’s. It is a real gem with an eye-catching airbrush and team stickers. 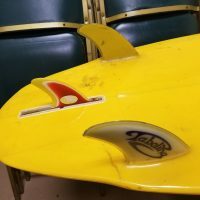 It is in very good condition even though it was the board he rode while surfing unexplored breaks during his Army tour in Panama. 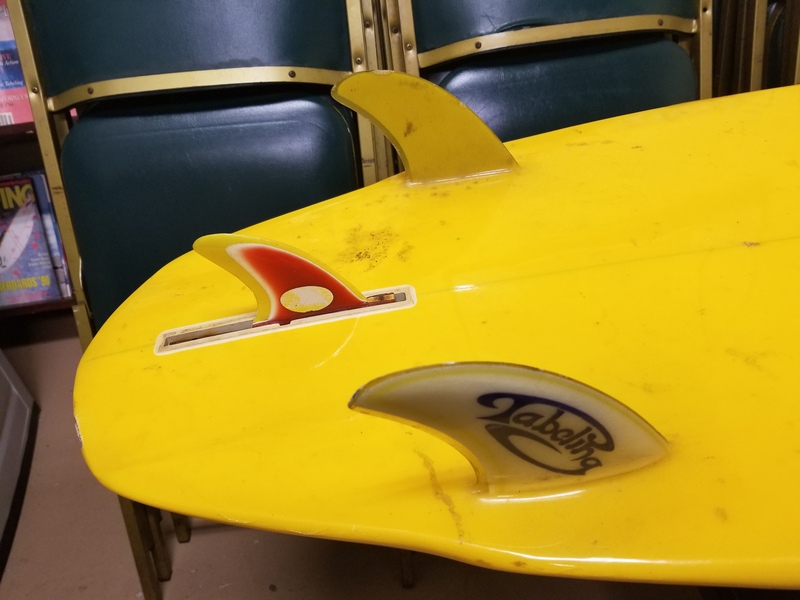 The board is typical of the designs being made just after the introduction of Simon Anderson’s famous thruster 3-fin design in that it has two glassed on fins to ride in a twin fin configuration with the option to use a third fin in a center box. 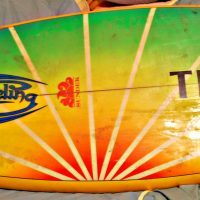 The twin was a highly refined design in Florida at the time and this board would probably be a good rider even today. Note that the fins are a composite foam/fiberglass construction. The board is very light even by today’s standards. Don also donated several awesome vintage board shorts including two pair of Sundek’s with an ESA and SCUBA patch as well as a classic pair of Katins and a Surfing Magazine tank top. 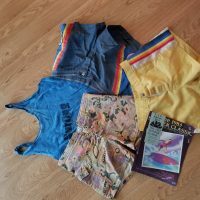 He included a program and parking pass from the 1983 Sundek Classic making a well rounded 80’s era collection. 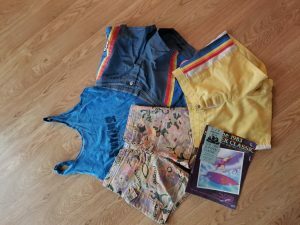 We are grateful to Don for this addition to the Museum collection- Mahalo!